Just Neighbors communicates and cooperates with numerous local agencies and charitable organizations in its service area of Andover, Bondville, Landgrove, Londonderry, South Londonderry, Peru, Weston, Winhall and Windham. This community-centered communication is one of the primary means of identifying those in need and gives Just Neighbors the ability to extend outreach in a timely and effective manner. 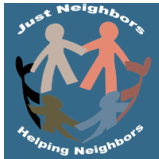 If you are a Just Neighbors partner, you can submit a request for service on behalf of a resident in the Just Neighbors service area that you believe has an urgent situation that Just Neighbors may be able to assist. Click the Referral Partners button below to submit a referral for service. If you would like your organization to become a referral partner with Just Neighbors, please use the email link at the top of the page to send us a message. Please include your contact information so we can get back to you to discuss how we can cooperate. Or you can call us at 802-787-1225.